Britain’s vote to leave the EU back in June 2016 brought the priorities of the department into sharp focus, coming just seven months after the 2015 Spending Review, which set up a large-scale transformation for Defra amidst a real terms budget reduction of 15%. Moriarty is open when acknowledging that, given the circumstances, “it wasn’t quite the right time” to implement some of the digital transformation the department had planned, but stresses that Defra has made “some progress”. "In the core department, I’d say virtually everyone’s work is affected by Brexit. Because 80% of DEFRA’s work is framed by EU legislation." Looking towards Brexit and beyond, Moriarty is “taking the opportunity to think really big”. One of the fundamental changes she flags up is: “What comes after the common agricultural policy?”. 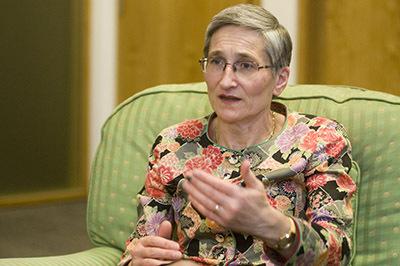 She believes Britain’s’ environmental land management will develop to “look quite different” in the coming years and the challenge for Defra will be to ensure they’ve got both a policy design and a strategy to “deliver that in a sensible way”. While opportunities may exist for Defra over the next few years, the immediate challenges were highlighted by the National Audit Office (NAO) in its September 2018 report on the progress the department has made in preparing for Britain’s exit from the EU. The report raised concerns over the department’s contingency and medium-term planning. Amyas Morse, the head of the NAO, warned that while Defra had “achieved a great deal”, it wouldn’t “deliver all it originally intended in the event of no deal” due to the gaps that still remained. Morse advised that the department needed to “focus on alternatives and mitigations”. However, she cautions that any report on Brexit, in her mind, can only be viewed as a “snapshot”. According to Moriarty, in a “normal world” the NAO would come along towards the end of a process or project and examine what was achieved, what can be learnt and whether it was value for money. While she believes it is right for the NAO to scrutinise the Brexit process, the fact they are looking at a “very fast-moving target” makes it difficult. Just as the report was published in early September, Moriarty says that they’d completed a review of the department’s planning, “particularly for what might be required in an exit without a deal”, but at the time DEFRA was working on the basis that they would be clearer about what was happening in October. When it became obvious that they would not get the “bolt of clarity” they were expecting, the department’s ministerial team and officials sat down to examine what would happen if there was an exit without a deal. Conscious of these pressures on her staff, Moriarty has worked hard to reprioritise the department, which has involved moving “quite a lot of people onto strengthening our EU exit projects”. “We’ve had a number of people who have come in on loan from other departments to help that,” she adds. “So just about the point the NAO report came out, we shifted our focus quite a bit so actually a huge amount of things have moved on… we’re much further advanced than we were at that point”. As Permanent Secretary, Moriarty ultimately takes responsibility for ensuring the work of the department is value for money and says “it feels a little bit more comfortable signing the accounts knowing that I could, if I had to, sit down and plough my way through them”. While valuing this experience, she made the conscious decision that she “wasn’t going to do only finance jobs” as she didn’t want to get “pigeonholed”. For Moriarty, this is a problem the civil service hasn’t quite overcome, as a lot of people come into finance roles and “stay in finance roles”. Moriarty believes it is important to get people to move out of finance roles “at the right point… before they’re too entrenched in particular silos”. 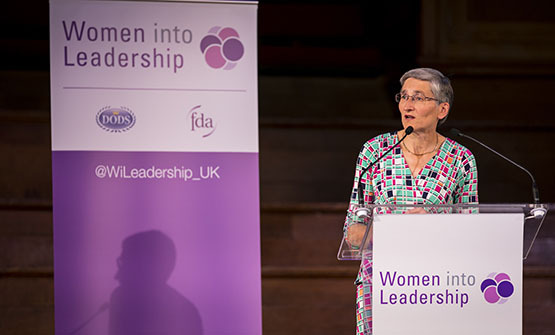 As a Whitehall leader herself, Moriarty believes she has a “slightly divergent view” of what a leader in Government should look like, which formed the basis of her talk at the FDA’s Women into Leadership London conference. “I think I’ve spoken at the Women into Leadership every year I’ve been Permanent Secretary,” she recalls. “But the one in September was the first time I talked about something that I’ve now used quite a lot, which was the ‘red shoelaces’. Before I became a Permanent Secretary, I was on a development programme, so lots of well-meaning people said ‘we’re sure you get to be a Permanent Secretary but you need to change a bit’. They kept saying ‘you need to conform a bit more’ and I thought I’d conformed enough. Moriarty now sees it as part of her job to create an inclusive environment in her department and encourage others to keep their metaphorical red shoelaces in. 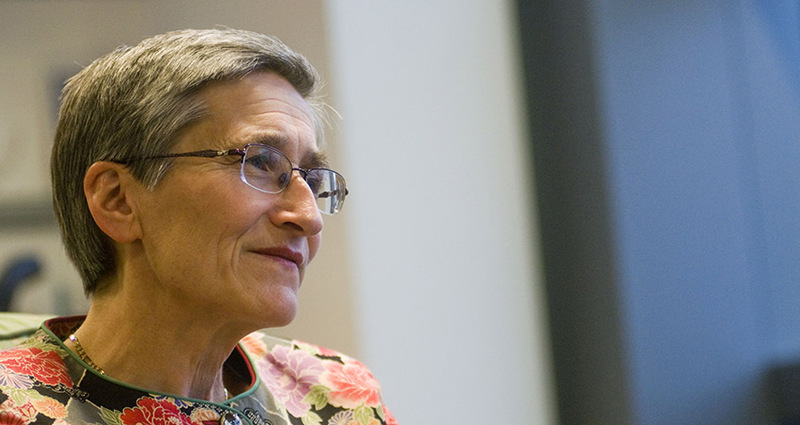 “One of the most important things I do with my role is to create a space for other people, so that fewer are being told ‘you really need to conform a bit more’.” She believes that the One Team Gov movement, a grassroots grouping which describes itself as ‘a global community, working together to radically reform the public sector through practical action’, is an encouraging sign of this kind of change. Moriarty recalls that there “was nothing around like that when I was coming up through the civil service” and believes that it is only able to exist because of the development of social media. For her part, Moriarty is a “big fan” of social media, particularly Twitter. In an article for the Guardian, back when she was the Director General at the Department for Transport in 2014, she encouraged “more female civil servants to embrace Twitter”, arguing that it enabled her to scotch preconceptions of her as “a faceless bureaucrat”. She still holds this view today and praises Twitter “as a way of being present for people who I wouldn’t otherwise be present for”. “There are some particular issues for senior women about being seen to be unapproachable,” she adds. “And it remains a fantastically good way of just being approachable because people can get in touch.” While she believes that institutional accounts have an important role to play, she sees the true value of social media in where the “professional meets personal”. According to Moriarty, that’s where social media moves beyond simply “a good way of transmitting information” and gives public servants the opportunity to “engage properly with the public and understand what they think is important”. Clare Moriarty speaks about "positioning yourself as a leader" at our London Women into Leadership conference.